Christopher Zarembinski, M.D. is an attending physician at the Pain Center. Specializing in anesthesiology, Dr. Zarembinski is board certified and holder of additional training certificates in pain management. He has practiced at Cedars-Sinai Medical Center for the past 17 years practicing exclusively in pain management, and is one of the original founders of the Pain Center. The Pain Center has become a model program for the hospital with respect to comprehensive management. The multidisciplinary approach used translates into individually designed treatment programs that best suit patients’ needs. Dr. Zarembinski previously served as Assistant Clinical Professor of Anesthesiology at the University of California, Los Angeles (UCLA) Pain Management Center and at the University of Southern California (USC) Department of Anesthesiology. He was also a staff anesthesiologist at Huntington Memorial Hospital in Pasadena. Dr. Zarembinski received his medical degree from the University of Arizona School of Medicine. He completed his internship at St. Joseph’s Hospital in Phoenix and his anesthesiology residency at Washington University in St. Louis. He also completed a fellowship in pain management UCLA’s Anesthesiology Department. Stem Cell research. The use of a percutaneous intradiscal delivery system will prove critical for simplified extraction of nucleus and subsequent injection of mesenchymal stem cells. This technique will lead one day to percutaneous spinal fusion and disc regeneration. Current animal studies reveal promising results and a NIH grant is pending at this time. Results were presented at the American Academy of Neurological Surgeons (3/07) and the Congress of Neurological Surgeons (9/07). Foreign expansion. In July, 2007, Cedars-Sinai Hospital will start to receive foreign medical graduates for specialized training in pediatrics, obstetrics, and pain management. 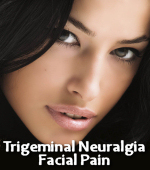 Dr. Zarembinski will be responsible for the pain management component. These new trainees will staff a new state-of-the-art childrens’ hospital in Kiev, to be built in 2009. This collaboration is highlighted on the Ukraine3000 site. www.jointvitality.com is a new venture to bring innovative injection therapy to joint arthralgias using precision imaging. Will strive to bring stem cell applications to the market in a safe and effective manner. Currently, Dr. Zarembinski is investigating an injectable hydrogel to provide biomechanical support in addition to anti-inflammation. Education. The 6th Annual Spinal Disorders Symposium in Las Vegas in March, 2007, focused on current treatment methodologies, new and emerging technologies and controversies in spine care management. Dr. Zarembinski has been a lecturer at this annual event since 2003. 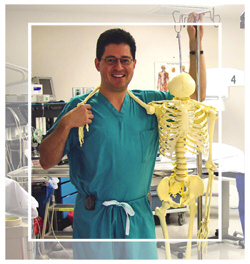 More than 500 spine surgeons, pain physicians, and physiatrists participated internationally in 2007. This formed an important platform to highlight future pain management applications. Future seminars will serve to embrace collaboration across subspecialties to aid in spine care.